We just listed an attractive cottage on Lake Oconee with a “big lake” view. So often, the price of living directly on the shores of Lake Oconee is out of reach for prospective buyers. However, now an upgraded modified A-frame home is for sale for just $379,000. The 3 bedroom, 2 full bath home is decorated in a modern style with granite counter tops, stainless steel appliances, pendant light fixtures, and hardwood floors. The open floor plan offers a spacious feel to the main living area. The large windows and sets of french doors show off the gorgeous lake view. Outdoor entertaining is facilitated by a screened porch off the dining area, and a wrap-around deck on the lake side of the home. 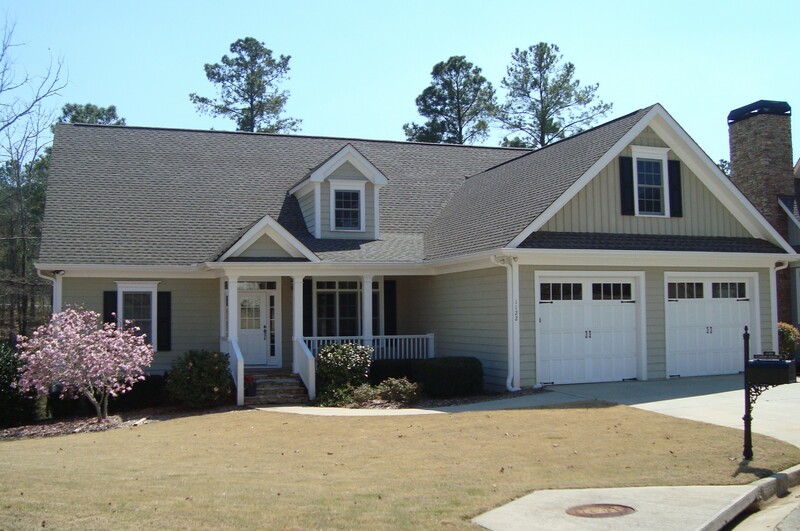 The home is located in the Lake Oconee Buckhead community (not to be confused with the Atlanta Buckhead!) This small quaint town is located a little over an hour’s drive from Atlanta on Interstate 20. Come view this charming lakeside cottage, and enjoy living in this special home before the weather is warm. For more information about this, or other Lake Oconee Homes for sale, call Jim and Suzie Hudson, RE/MAX Lake Oconee at 706-453-6253. Ask for Jim or Suzie at Lake Oconee .com, our local website. To see a virtual tour of this Buckhead deal, click below.